When:Wednesday, September 19. Doors at 6:00 (with dinner menu available for an additional fee), High West whiskey and 10 Barrel beer tasting at 7:00 and film at 8:00. 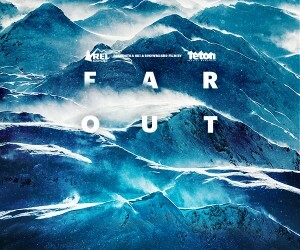 How Much:Tickets are $75 and include: High West whiskey tasting, 10 Barrel beers, swag bags, bonus lift ticket offers and a VIP screening of Far Out, presented by REI. 21+ only, on-sale now! Details:There is also a larger scale premiere at the Neptune Theatre on Thursday, September 27. On Wednesday, September 19, join Teton Gravity Research as we bring a small-batch experience back to Seattle, with the TGR WhiSKI series. The WhiSKI series pairs a high-end whiskey tasting (featuring High West whiskeys), with a VIP screening of our new ski and snowboard film, Far Out, presented by REI. Attendees at the WhiSKI series will get swag bags including Yeti Ramblers, TGR films, bonus lift ticket offers and more - tickets also include the High West whiskey plus the film on the big screen. And, there will be a Q&A with TGR athletes and production team, as well as one of the High West experts talking about the various whiskeys that everyone will be trying. The team from 10 Barrel Brewing Company will also be on hand talking about some of their beers (which attendees will also get to sample). And, our partners at 57 Hours will be on-site to talk about their platform for finding and booking guides in a lot of the same places that TGR filmed at this year. Doors are at 6:00 with The Triple Door dinner menu available for purchase. The whiskey and beer tastings will start at 7:00, followed by Far Out at 8:00. Get your tickets now for this small batch experience - this is a very limited capacity event that sold out last year. Click here for details on our larger scale premiere at the Neptune on September 27.